Dedicated to my best friend, Jessica, who over the years has been a big supporter of my vegetarian/vegan lifestyle and asked me last night for some yummy veggie burger recommendations as we walked the aisles of Whole Foods. I am a firm believer that veggie burgers can be enjoyed by plant based folks and meat lovers alike. Now, I fully recognize that if you are a raging carnivore, you’re probably going to think veggie burgers taste a little odd, maybe too much like vegetables and not at all like your beloved meat patties. But, I would like to invite you to open your mind (and heart) to an alternative that can be surprisingly delicious! Done right, veggie burgers are flavor bombs – savory, smoky, hearty—and a great way to satisfy your hunger and leave you with a yummy, elated feeling as most good veg food does. Additionally, if you are a fledgling vegan/vegetarian, veggie burgers are a great way to ease you into your new lifestyle. 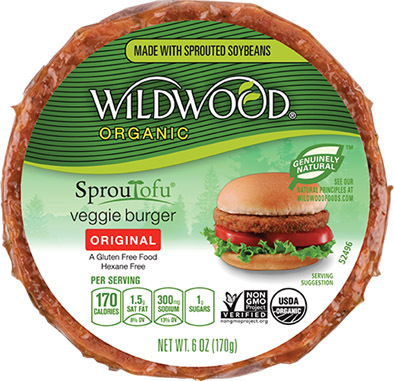 Here are my personal favorite veggie burgers; one you can make at home and one you can snag from the refrigerated section of your local grocery store! Are you a fan of beets? I never was until I used this recipe and made one of the most amazing burger patties ever. Seriously, the recipe really makes enough patties to last you a good week – and it will be the happiest week of your life! But, if you’re not into eating the same thing over and over again, you could always freeze the patties and then heat them in the oven or on the stove the next time you’re ready to get your burger on. I like this burger on thick slices of bread with vegannaise, spinach, Daiya’s mozzarella cheese, BBQ sauce, mustard, and avocado. It also pairs well with brown rice, steamed veg, and a good dressing if you’re more into bowls. I know, I know. There is so much controversy these days over processed foods. And, if you’re on a very strict plant based diet and trying to monitor how much of your calories comes from fat, well, this is not for you. All that being said, let me tell you what I love about this product. First, it is Non-GMO Product Verified. Second, it’s just damn delicious. Third, their distribution center is down the street from my house and I often fantasize about how delightful it must be to work there. I like this patty cooked on either the stove or on the grill. You can microwave it, but then it doesn’t get that slightly crisp texture on the outside of the patty that I feel serves to enhance the flavor. Are you a fan of Thousand Island dressing? You are? Well, me too! Now throw some on top of this patty before you give it a bread hug (Did I just coin a new way to say sandwiches? #breadhugs). Side note: Making vegan Thousand Island dressing is super easy. It’s just vegannaise, ketchup, mustard, and chopped up pickles. You can adjust the ratios to your own liking or add in some fun spices. Well gotdammitall, I am HANGRY now and I know what I’m eating tonight! 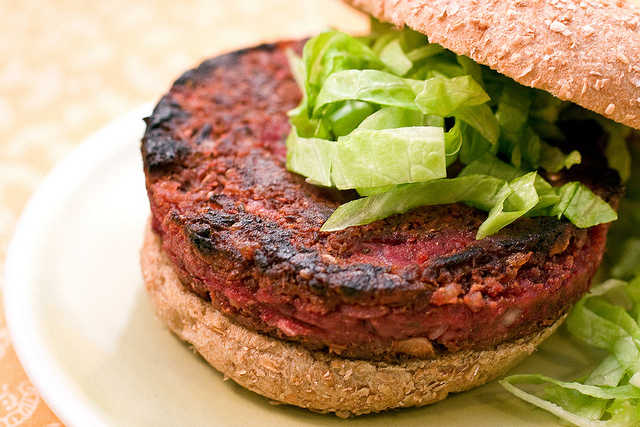 Now go out there and make some #breadhugs with these yummy veggie burger patties! Next Next post: An Introduction.